IT’S BEEN A LONG HOT SUMMER!! Hello to all of you Boots fans out there! It has been a long hot summer at Barnstormer’s Workshop. With temperatures over 90 degrees for months and very little rain, I feel that I must have lost 10 lbs. of fur after shedding so much. Not to mention that we work in an unairconditioned metal building. As usual, we have been busy at Barnstormer’s, and we are thankful for that in this economy. We have been doing a lot of general maintenance as of late. We have had two Cessna 195’s in the hangar, one of which was a major repair for a frame replacement. 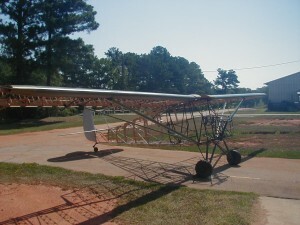 We have also worked on a Twin Comanche, a supercub, and a Cessna 170. The boys went to Gainesville yesterday to get a 1929 KR34B ready for a ferry flight to its new home in Mississippi. We are working on an engine change for a Buker, and fitting the cowling on the Ryan STA project. We are getting ready to send a Culver Cadet and a Mooney Mite to Brazil to go into a flying museum. 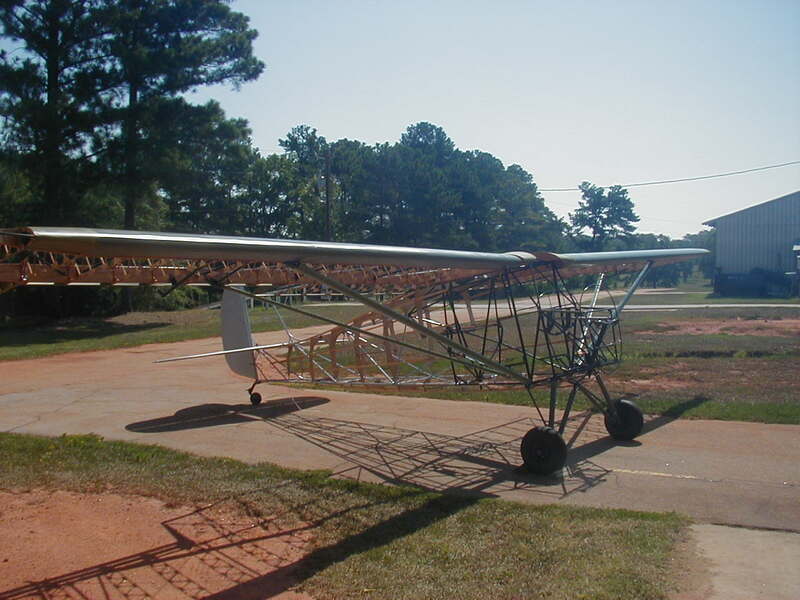 We are also resotring a 50C 1938 Aeronca Chief, believed to be the oldest Aeronca in World War II, owned by Larry Bishop. See picture below. Look at that beautiful woodwork the guys have done on that. Vintage days was this past weekend at Peachstate. Old airplanes, cars, motorcycles, and even boats were in abundance as well as games for the kids and even an old fashioned cake walk. A good time was had by all, but my wool 1920’s knickers did get a little hot. Well, that’s it for now guys! I will be blogging again in the fall. Posted in Barnstormer's Updates | Comments Off on IT’S BEEN A LONG HOT SUMMER! !